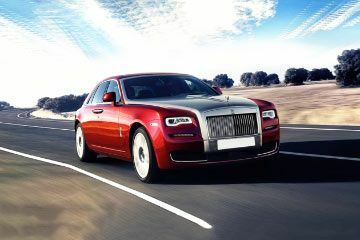 World&#39;s best luxurious car, one and only The All New &#39;ROLLS - ROYCE PHANTOM&#39;. This car is amazing. Wastage of money please don&#39;t buy this uncomfortable car. It has a mileage problem better you should buy a Lamborghini at this price. It&#39;s an amazing, safe, and lovely car. It&#39;s just like a dream of heaven. Q. Is there any qualifications needed to buy Rolls Royce? Rolls Royce, name that is the pinnacle of luxury automobiles and the ultimate statement of power, position and prestige. If you arrive at a place in a Rolls-Royce, people immediately know that you are a man with some seriously ravish taste and class, not to mention extremely wealthy. The BMW owned Rolls-Royce is of course an expensive car to even plan about buying. Therefore, it’s not just for the rich but the wealthy. Wealthy folks know how to make money whereas the rich just have a lot of money, there is a huge difference between the two words, but we’ll stick to the Rolls-Royce for now. The massive chrome edifice and the “Spirit of Ecstasy” (commonly known as the leading lady) are sure enough grand in the appeal. But, let’s just say that you have Rs. 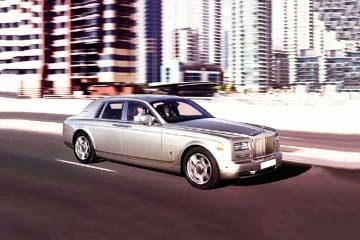 3.50 Crores to spend on a Rolls-Royce Phantom and you feel like buying one so all you would have to is simply drive to your nearest Rolls-Royce dealership and book a test drive. well, a big no that is not how it works. No matter how much money you actually have or even if your company is listed among the fortune 500. Sadly, there is a process. A process where it is decided if the person wanting to buy a Rolls-Royce is “fit” enough to be its owner or not, the amount of money is not the only thing they take into consideration. Rolls-Royce carries out a complete background check of you, your entire history, profile, social standing for the past many years, including your past generation. Forget about even getting a test drive, they meant for the select few only. To be able to buy a Rolls-Royce, you need:1) A vault is full of money.2) Social recognition.3) No serious past criminal record. Q. What is the price of Rolls Royce?